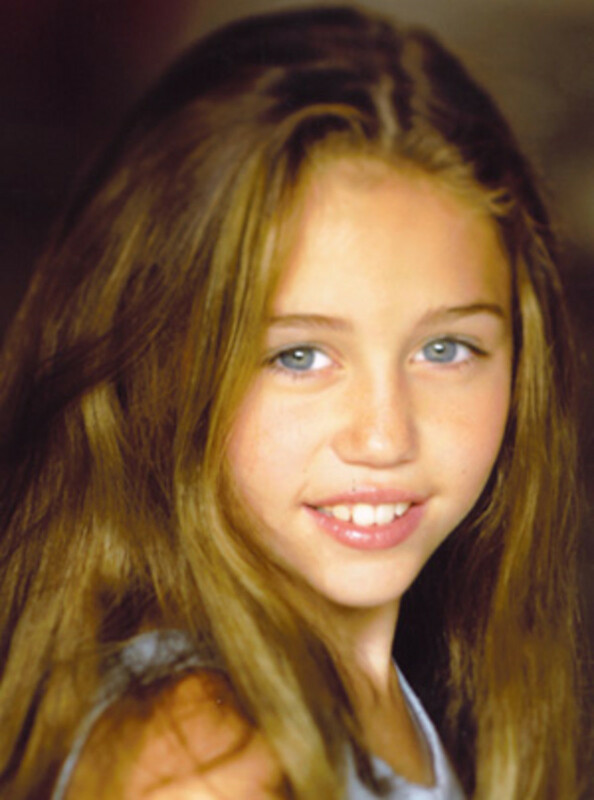 Miley was born in 1992 as Destiny Hope Cyrus. She is the daughter of Billy Ray Cyrus and she started her career in television with minor roles. She was born in Nashville, Tennessee and lived on a 500 acre farm. Her name was given to her because her parents believed that she would grow up to do great things. Cyrus earned the nickname "Smiley" because she smiled so much as a toddler. 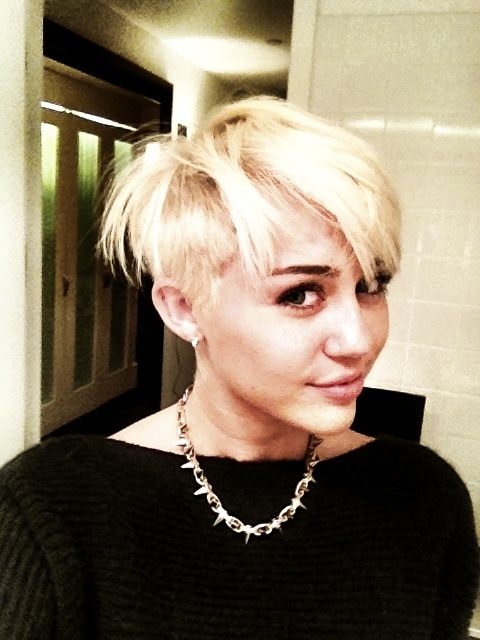 Her parents shortened the nickname to Miley. Miley suffers from a mild heart condition and she is also from a very large family. Her mother "Tish" had two children when her and Billy Ray got married, which he later adopted as his own and he also had a son from a previous marriage. She has a two more siblings and her godmother is Dolly Parton. Miley changed her name to include "Ray" into it due to the love for her grandfather, with whom she was extremely close. She was raised as a christian and attended church regularly. They moved to Toronto, Canada when Miley was eight years old for her dad to work on the television show, "Doc." Miley went with her father to work and he also took her to see many theatre productions, where it enticed Miley to become an actress. Cyrus went to acting and singing lessons in Canada and her first role was in the series, "Doc" and "Big Fish" by Tim Burton in 2003. In 2005 her family moved to Hollywood and Miley became Hannah Montana in 2006 at the age of 11. Her audition tape was sent for the role of the supporting actress but Disney wanted her to be the lead, where she played the role of a teenager who led a double life as a pop star and a teen. The Hannah Montana series was rated as the highest ranking series on cable television, giving Miley a boost of instant fame and wealth, making her the first artist to have deals in consumer products, television and music. Miley was tutored privately on the set of her show, her mother had a great deal of influence in management and business decisions. Her music agent was suggested by Dolly Parton as an ethical person, her father's business manager managed her finances and she soared into the limelight. Miley Cyrus as Hannah Montana on the "Best of Both Worlds" tour. Miley sang the theme song for the series, "Best of Both Worlds," which went onto the billboard top 100 at number 92. 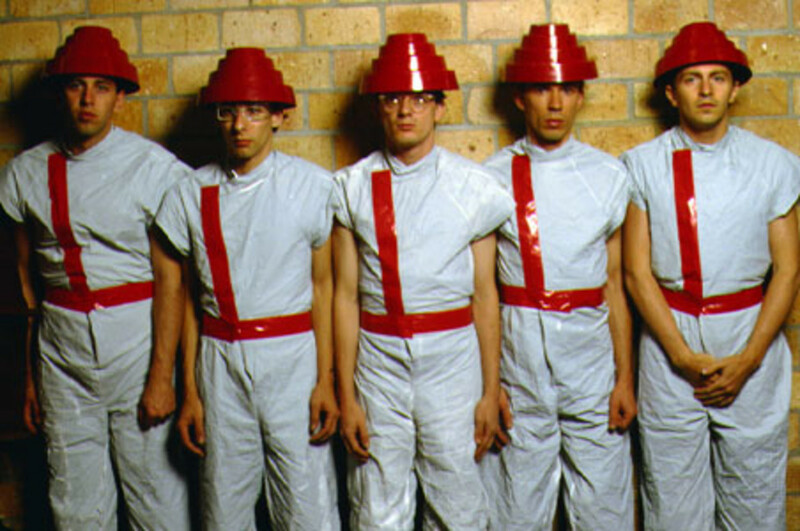 It was also popular in the U.K and Ireland where it went onto the charts there too. Miley performed as the opening act for the "Cheetah Girls," as Hannah Montana and in 2006 Disney released a Hannah Montana soundtrack featuring 9 tracks with only one credited to Miley Cyrus, the remainder were credited to Hannah Montana. Cyrus released a song under her own name and it was a cover of a song by James Baskett, released by Disneymania. It reached the charts as a number one hit on the billboard 200 and has sold over 3.5 million copies worldwide. Destiny Hope Cyrus collaborated with her father on two songs, one of which went to number one on the "hot country hit songs" chart. The second season of Hannah Montana aired in 2007 until 2008. Miley signed a four album record deal with Hollywood Records which was a Disney owned company. A double - disc record was released in 2007, one of which was a soundtrack for Hannah Montana and the other was Miley Cyrus' debute album. Her record debuted at number one in the first week of its release and it was certified as triple- platinum. The "Best of Both Worlds" tour was launched at the same time and Miley went on tour with Jonas Brothers, Aly and AJ and Everlife, who were all her opening act. The tour went from 2007 to 2008 through the United States and Canada. 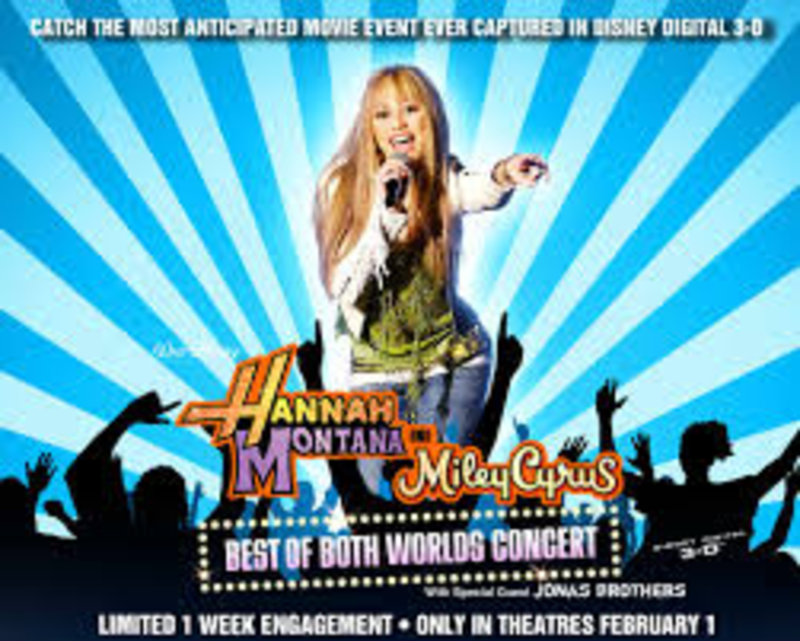 The Hannah Montana 3d concert film of the tour was released by Disney and they extended the filming due to popular demand. The films soundtrack was also released and went to number 3 on the billboard 200. In 2008 Cyrus and her friend opened a Youtube account and wanted to film their own show via the web, called the "Mandy and Me" show, which became a web hit! Miley left her agency and went to Creative Artist's Agency in 2009. Cyrus posed for Annie Leibovitz of Vanity Fair when she was 15 years old and shocked the nation as she was wrapped in only a bedsheet. Miley had her 16th birthday at Disneyland with a charity fundraiser. Her email account was hacked and a teenager leaked provocative images of her in underwear and a swimsuit. She stated that "I am going to make mistakes and I am not perfect." Miley at sixteen was the only teenager to have four number one albums on the charts. Her market value was extremely high and reporters were waiting for her to have an unwholesome moment, which never happened in her teens. Cyrus wrote 8 out of 12 songs on her second debute album and it went to number one, making her the fifth best - selling singer overall. She hosted the CMT Music awards with her father and the Teen Choice Awards on her own. Miley was the voice of "Penny" in the animated film, "Bolt," alongside John Travolta, whom she wrote and recorded the theme song with. It received a Golden Globe nomination. Cyrus worked with a number of charities in support of cancer, she did the Hannah Montana movie and had a book written about her life as a sixteen year old, "Miles to Go." Her song "The climb," from Hannah Montana, reached the number one spot on the charts and Miley's singing career took off enormously well, even allowing her to perform for the Queen of England on a World Tour. Miley Cyrus becomes and adult. Miley began to receive numerous acting opportunities but she wanted to be in serious movies that did not have her singing in any of them. She had been offered many roles in musicals and her aim was to become a serious actress for her transition into adulthood. Miley's first serious role was in "The Last Song," with Liam Hemsworth whom she started dating during filming. The movie was a serious role and it became a good opportunity for Miley's transition from Hannah Montana teen to Miley Cyrus - adult. The final Hannah Montana aired in 2010 and ended in 2011, during this time Miley also recorded her third debut album called, "Can't be Tamed. She went on a World Tour to promote her album and critics said that her moves and outfits were extremely provocative. Her album didn't do as well as before and Miley wanted to take a break from the music and concentrate on her acting. Cyrus played a role alongside Demi Moore and the movie went straight to dvd. She also appeared on Saturday Night Live, Punk'd and did another role as the main character, called "So Undercover." Miley appeared in "Two and a Half Men" and Liam Hensworth proposed in 2012, giving Miley a 3.5 carat diamond ring. What do you think abour Miley's transformation? Miley did a few movies and made appearances on may shows. She has also done a lot for charity. In 2012 she also recorded many Bob Dylan songs as a tribute and loaded them on to you-tube. She signed on to do an animated "Hotel Transylvania" movie but later dropped out to continue with her music career. In 2013 she recorded her 4th album called "Bangerz" and her music videos for some of the songs, were overly provocative but it earned her a place with the fastest video to reach 1 million hits. Miley also appeared in Snoop Lions video, Will. I. Am and "twirked" with vocals on Lil Twist's" video which included vocals from Justin Bieber. Her song "Wrecking Ball" reached 19.3 million view on Vevo within 24 hours and it went to number 1 on the billboard charts. MTV aired a documentary called "Miley - The Movement" showing behind the scenes footage of Miley preparing for the music awards and details on her album. 2013 Liam Hensworth and Miley broke off their engagement and Cyrus started working on her 5th album. In 2014 a tour to promote "Bangerz" and she will continue to act too. The Best Miley Cyrus Impersonators Are Here! I think she has a great voice! Sadly her marketing works well but it seems desperate when she definitely does not need it. Oh I will take a look, it is a full time job, keeping up to date with her, lol! You're another hubber who loves Miley. I like your running bio of her present life. It's hard to keep up with, isn't it? Regarding such, I've written the "Miley Cyrus Trilogy," which I'm constantly updating. A labor of love, ya know? Later! Thank you! Yes she has good marketing managers and every child actor that grows up into adulthood becomes problematic in some way. I think it is that they are controlled with an image that disney wants them to maintain and once they get old enough it is like being let out of a cage. i see miley as a very wise business woman, she really isn't doing anything that some other artist have done. i believe that people just don't want hannah montana to grow up and show what is within. my main negative thought is not her outfits but the fact that she doesn't have the body for them. have you noticed that people can't seem to stop talking about her; well maybe that's the point, i just see it as a business move. a well written hub by the way, happy hubbing. Her performance was terrible and very desperate looking but she does have a great voice! She's always been ugly. Her performance at the awards was pitiful.